Comments Off on New staff profiles available! As already announced within the last post, our staff pages have been updated with information about the current group of graduate researchers. If you want to know more about the computer scientists Maria Barlag, Benedikt Etzold, Tobias Höppner, René Richter and René Schmidt and the social scientists Kevin Koban, Stefan Pichelmann, Ingmar Rothe, Alexander Skulmowski, Jan-Philipp Stein and Maria Wirzberger, you are welcome to visit our profiles. In case you are interested in our projects, please feel free to contact us! On April 1st, the second group of researchers started their studies at CrossWorlds. The nine new colleagues now work in the offices at Reichenhainer Str. 70 as the previous group moved out. All of the twelve researchers of the first group are still working at CrossWorlds, but are now officially associated members. During a one-day workshop on April 22nd, the CrossWorlds veterans passed the baton to their new colleagues. Two additional graduates start their work at CrossWorlds today, and another researcher will join in june, bringing the number of the second group also up to twelve. We enthusiastically look forward to yet another three years filled with fruitful discussions, interdisciplinary exchange and exciting publications! The staff pages will be updated very soon with the profiles of the second group of researchers. Several authors asked us if we could extend the submission deadline so they could finish up their submission properly. You ask – we listen. The new submission deadline is April 14, 2015. We are still looking forward to your submissions! 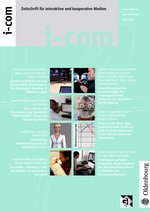 We are inviting submissions to the i-com Journal on Interactive and Cooperative Media for a special issue on “Interdisciplinary approaches to social technologies”. This issue will be guest-edited by Maximilian Eibl, Peter Ohler, and Daniel Pietschmann. All submissions will undergo a double-blind peer-review process. The submission deadline is March 31, 2015. We are looking forward to your submissions! Dr. Kiyoshi Kiyokawa visited CrossWorlds on december 11th and gave two very inspiring talks about Head Mounted Display Technologies for Augmented Reality and Future Directions of Augmented Reality Display Technologies. Besides the crossworlds team, the audience also included interested colleagues from other departments as well as many students. We thank all helpers, especially for the catering and tech support. Furthermore a big thank you to the VR/ AR team members Peter Schulz, Florian Polster, Daniel Lohmeier von Laer and Jesper Bellenbaum. The MOOC with additional learning materials will be available as soon as possible. For further information please contact Crossworlds Member Steve Funke. Abstracts for the talks can be found after the jump. The dissertation thesis from Dr. Daniel Pietschmann has been published by Springer in their new psychology research line. 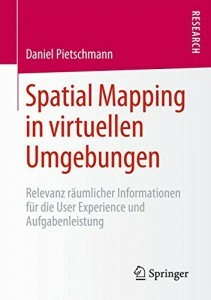 The book is written in German and constitues a revised version of the original thesis, concentrating on the theory and implications of spatial information and its use in virtual environments for entertainment or learning purposes. The book also features an extensive review of cognitive UX concepts and studies on stereoscopy and natural mapping and is aimed at scholars in the fields of psychology, communication studies and human computer interaction as well as designers of virtual environments. It is available as softcover print or eBook via SpringerLink (and thus it’s free for many universities), Amazon and other retailers. Brian Fisher from SFU in Vancouver, Canada visited CrossWorlds from december 8-10. 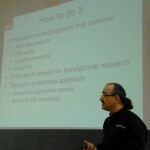 Brian gave a very inspiring talk about bridging the gap between between psychology and computer science titled “For a translational cognitive science of interaction”. He also met with the research tandems and discussed their current work and projects as well as future collaboration possibilities. We thank Brian for all his input and suggestions as well as for the great discussions and hope to see you again in Chemnitz, soon. 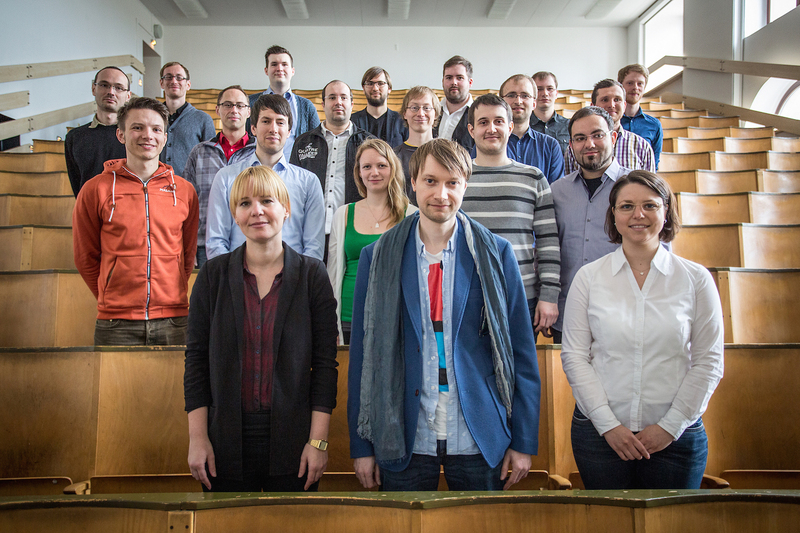 From 16th-19th of november the ACM conference for Interactive Tabletops and Surfaces (ITS) took place in Dresden. 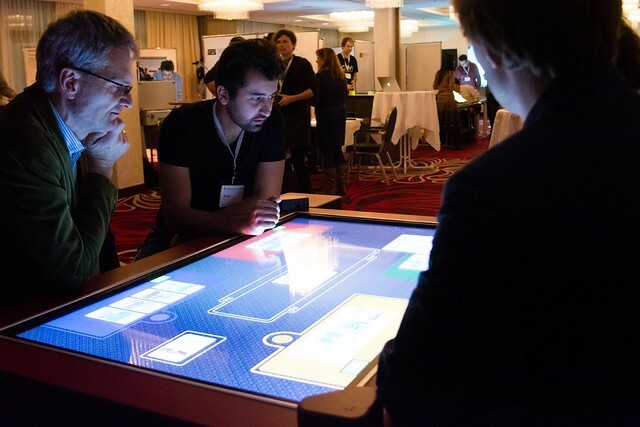 Besides the lectures the event included a poster & demo session, in which CrossWorlds members Michael Storz and Kalja Kanellopoulos presented their second tabletop ‘comforTable’. On 8th of october Mr. Aaron Marcus followed our invitation to Chemnitz where he held a talk about “Mobile User-Experience Design”. Aaron Marcus is President of Aaron Marcus and Associates, Inc. (AM+A), in Berkeley, California, and an internationally known expert in mobile user-experience design, mobile persuasion design, information design, visualization and cross-cultural design. His talk focused on recent developments in mobile products and services and illustrated some current trends of mobile UX. In the second part of the talk Marcus gave insights in his inspiring work on persuasion design. 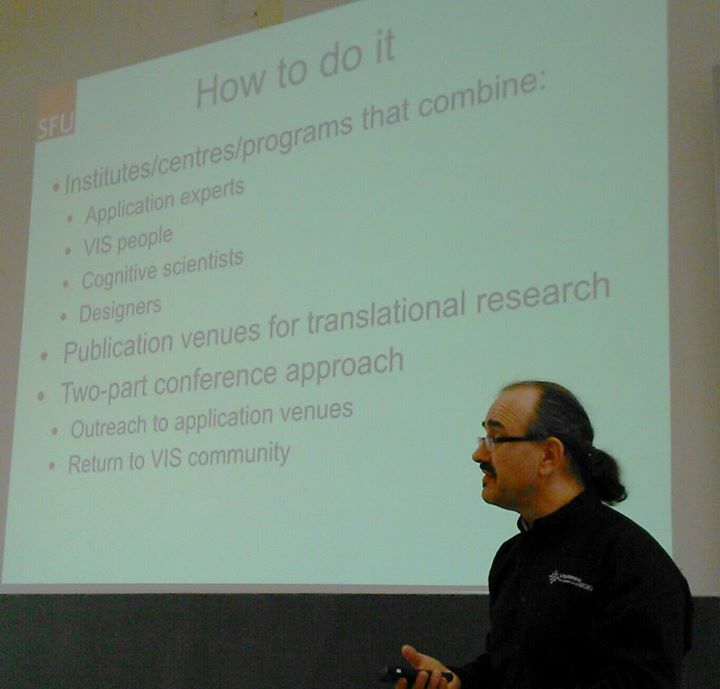 The talk was recorded and edited by the Media Informatics tv studio. After the talk our fellow researchers Michael Storz and Kalja Kanellopoulos and Mr. Marcus had the opportunity to get into a fruitful discussion about their work with tabletops and their applications. Sponsored by ACM special interest groups on computer-human interaction (SIGCHI) and computer graphics (SIGGRAPH), UIST brings together people from diverse areas including graphical & web user interfaces, tangible & ubiquitous computing, virtual & augmented reality, multimedia, new input & output devices, and CSCW. 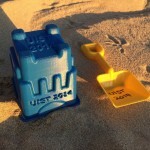 The intimate size and intensive program made UIST an ideal opportunity to exchange research results and ideas. The closing keynote is from Bret Victor. He was talking about the “Humane Representation of Thought: A Trail Map for the 21st Century.